The TU840 is a module termination unit (MTU) for redundant configuration of Optical ModuleBus Modem TB840/TB840A. 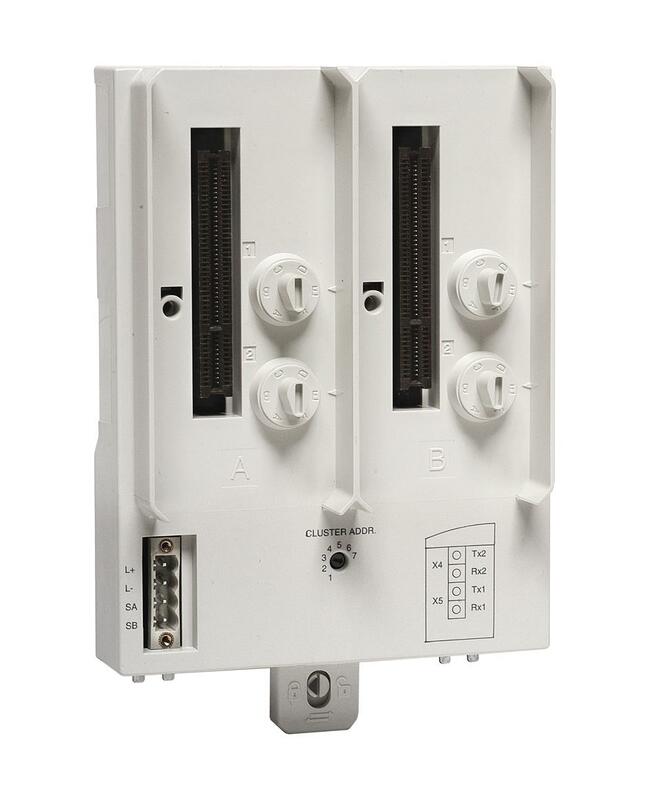 The MTU is a passive unit having connections for power supply, double electrical ModuleBus, two TB840/TB840A and a rotary switch for cluster address (1 to 7) setting. Four mechanical keys, two for each position, are used to configured the MTU for the right types of modules. Each key has six positions, which gives a total number of 36 different configurations. The configurations can be changed with a screwdriver. Termination Unit TU840 connects TB840/TB840A to redundant I/O. Termination Unit TU841 connects TB840/TB840A to non-redundant I/O.